The roof makes up about 40% of your exteriors. Upgrading it using newer materials ensures that your home is completely protected and energy-efficient. It also adds property value and enhances the curb appeal of your home. There are several materials on the market today. Every material is different, each one with its own benefits and features. At Rogers Roofing, we only offer the best of the best: asphalt shingles and concrete tile. Your Munster roofing should catch people’s attention at first glance. It should be lively enough yet still be able to blend well with your home’s architectural style. What’s great about asphalt shingles is that they come in a wide range of colors and textures. Some even mimic other materials like wood shakes and slate. Asphalt shingles are also known for their long service life. Many can last up to 30 years. Their light weight makes them ideal for both low- and steep-slope roofs. 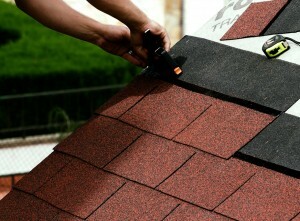 The CertainTeed shingles we offer at Rogers Roofing uses advanced color blend technology. Thanks to this feature, you can have shingles in several shades including red, blue, and green. These affordable roofing options can also copy the look of wood and tile and can match many architectural styles. We also offer concrete tiles from Vande Hey Raleigh. These products combine traditional looks and modern innovation. The tiles are handcrafted to create a unique roofline. They’re made from natural materials and can last up to 50 years or longer. Concrete tiles have exceptional durability and weather resistance. The ones we have at Rogers Roofing have passed the requirements for water absorption, strength, and wind uplift. They’re heavier than asphalt shingles though, so they can only be installed on moderate to steep slopes. At Rogers Roofing, we will be happy to inspect your roof for damage. If you decide to get a new roofing in Tinley Park, IL, you should turn to us for the replacement process. All of our roofing products are backed with manufacturer warranties as well, so you can be sure you’re getting the best value for your money. Call us up or fill out our contact form to learn more about our services today.